Pirates defeat Spiders for the first time since 2002. Hampton University (2-4) won just its second game of the season and it came in a dominant performance against the University of Richmond (2-4). The Pirates beat the Spiders 86-66 for just the second victory against Richmond in school history and the first since 2002. 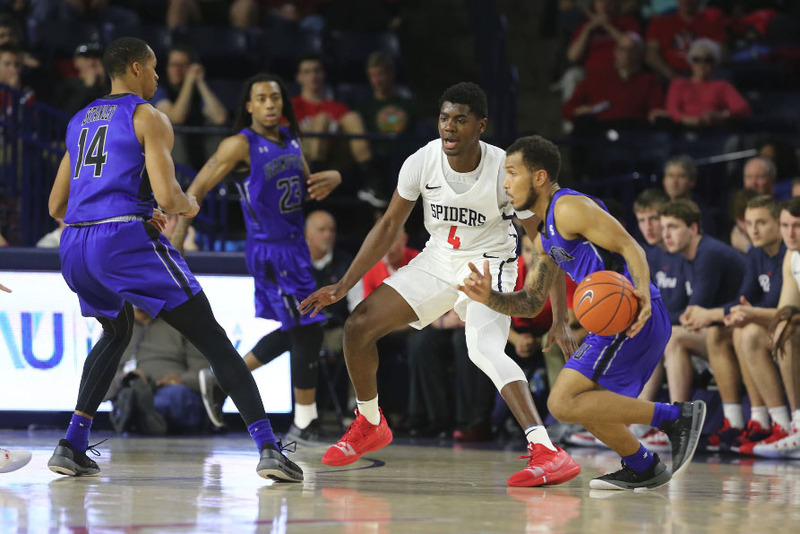 Hampton led for over 38 minutes of the game with Jermaine Marrow scoring a career-high 38 points, the second most by an opposing player on Richmond’s home court. Kalin Fisher had an impressive performance as well, scoring 27 points. Marrow was 5-8 on three-pointers in the game, while Fisher was 5-7 from downtown. The score was briefly tied at two points each in the opening minutes, but Hampton led the entire way afterward. The Hampton lead was as high as 16 in the first half after a Marrow three-pointer at the 9:42 mark, but Richmond closed the gap to six points by the half. That was as close as Richmond would get the rest of the way as Marrow and Fisher would push the lead to as many as 27 in the second half before settling for the 20 point win. The Pirates will probably hope their hot shooting continues on Thursday when they face off against rival Norfolk State. This will be an unfamiliar nonconference game for the two HBCUs that have been joined at the hip through the CIAA and the MEAC until Hampton left for the Big South. The emotions will undoubtedly still run just as high, however.